Edmonton-based Canadian label and collective Night Vision are back again, with the newest addition their catalog coming from local artist Honeydripper, who’s recently popped up on our radar through tracks such as the Houseum-approved hit “All About You”. 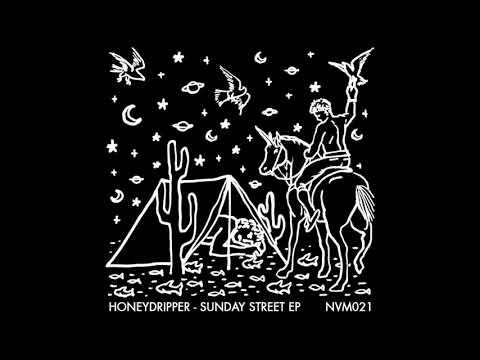 If you’re not acquainted with Honeydripper’s sample-heavy brand of house groovers yet, you’re a little late to the party, but there’s no better time than now. On this latest EP, Honeydripper’s musical roots and knack for sample curation are as evident as ever; coupling the grooviest lines, licks & riffs, Honeydripper puts together some seriously catchy tunes. Our premiere today is the title track, ‘Sunday Street’. Featuring swung drums and sweet jazzy piano stabs, Sunday Street is sure to get you in the mood to dance. An infectious baseline for good measure and some filtered things here and there, and you’ve got yourself quite the infectious groove. It’s no surprise that it’s been serving as a secret weapon for the Night Vision crew for quite some time, and we’re just happy we can join the club! Check out the rest of the release featuring remixes from Subjoi & Nick Garcia and preorder the EP here.